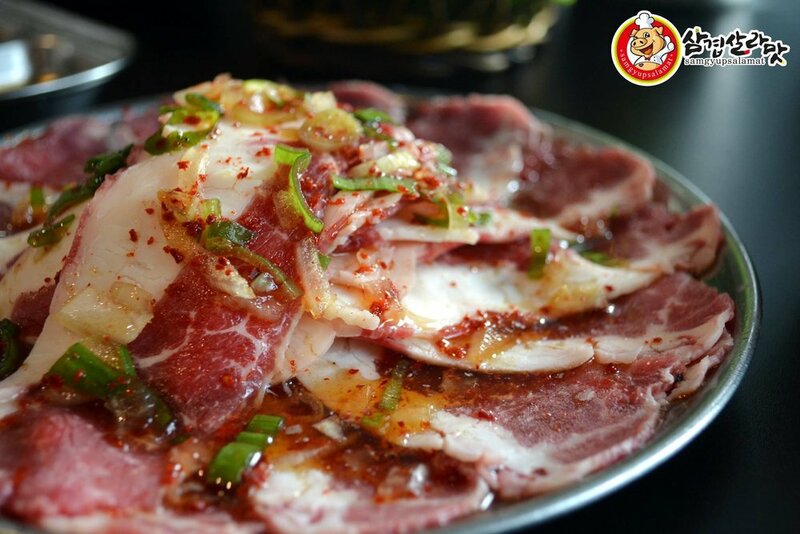 Samgyupsalamat will surely satisfy your Korean BBQ craving. Samgyupsalamat is a restaurant chain in and around Metro Manila that serves unlimited Korean BBQ. It’s been around since 2012 and now has over 30 branches. You’ve probably been hearing this restaurant’s name for quite a while now, so let’s get on with it and discuss. Samgyupsalamat is a combination of two words: samgyeopsal, which means grilled pork belly in Korea, and salamat, which means ‘thank you’ in the Philippines. Joined together, it translates to ‘thank you for eating Samgyeopsal,’ as noted in Samgyupsalamat’s website. Rabboki or Korean noodles and rice cakes with sweet and spicy sauce (₱200) **must try! 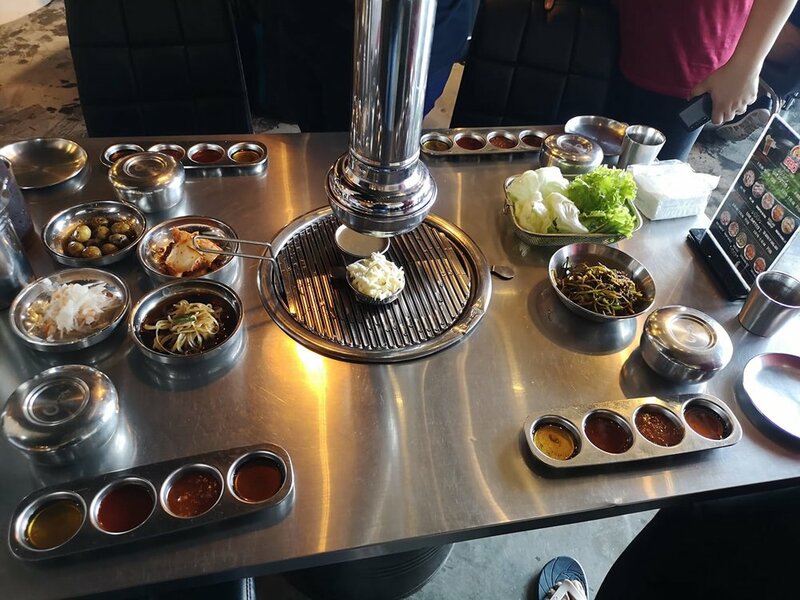 If you’re getting a Samgyupsalamat unlimited set, look forward to the following side dishes that will complete your Samgyupsalamat Korean BBQ experience: unlimited rice, marble potatoes, steamed egg, fish cakes, kimchi, broth soup, pickled radish, and more. Recently, Samgyupsalamat has also (finally) added unlimited cheese fondue in their menu, so expect a very delightful dining experience! 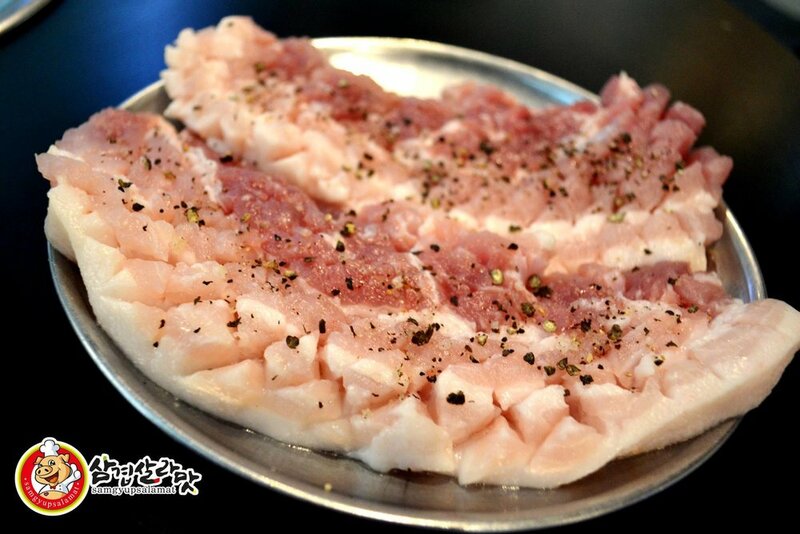 Go ahead and dip your buljib samgyeopsal in hot cheese! Samgyupsalamat’s unlimited sets come at a very affordable price! We recommend ordering their Unlimited 2 set (pork + beef) so you can get the ultimate grill experience. Did you know Samgyupsalamat now offers shabu-shabu? Check out what’s in store for you below! Get your shabu-shabu fix at Samgyupsalamat at a low price of ₱449 (11am-3pm) or ₱499 (3pm-2am). When ordering, you’ll be asked which two meats you’d like to try at a time. To make life easier, start with P1 and B1, until you reach P5 and B5. Go easy, don’t get them all at once (well, you can’t actually). Expect to wait at least 1 to 1 1/2 hours before getting seated. 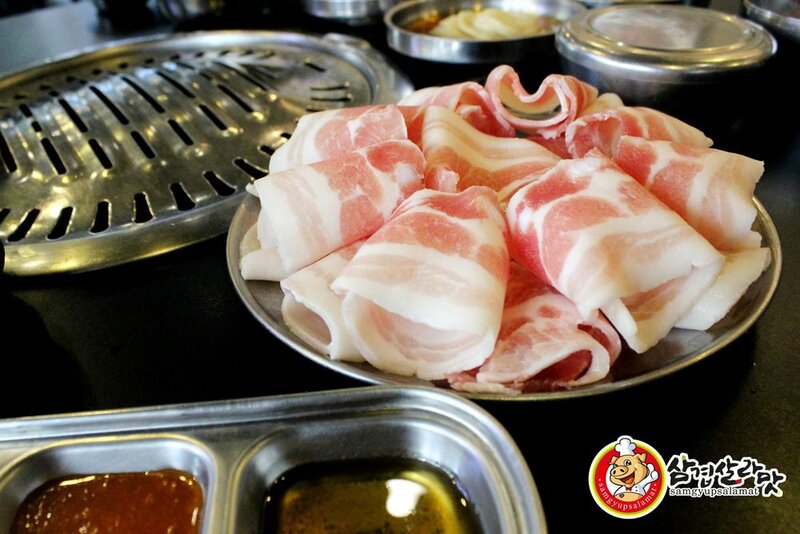 There’s no time limit, so help yourself with all that Korean meat that Samgyupsalamat has to offer. No leftover and no takeouts! Samgyupsalamat’s price is actually very competitive. Samgyupsalamat branches are usually open from 11am-2am, but business hours of in-mall locations may vary.